June through November Feisty Acres offers meat and quail egg shares to its CSA members. CSA stands for "Community Supported Agriculture" and fosters a direct relationship between the eater and the farmer. When you become a member of our CSA, you purchase a "share" of meat and eggs before the harvest season begins. There are many advantages to participating in a CSA program: eat ultra fresh meat and eggs full of vitamins and flavor; exposure to new ingredients and ways of cooking; opportunities or tour and visit the farm; and develop a meaningful connection between your food and the farmers who raise it. All members of the farm's CSA receive 10% off any meat, eggs, or merchandise purchases outside of their regular share. You may choose to pick up your share in Southold or on Wednesdays at the Union Square Greenmarket or Saturdays at Grand Army Plaza Greenmarket. 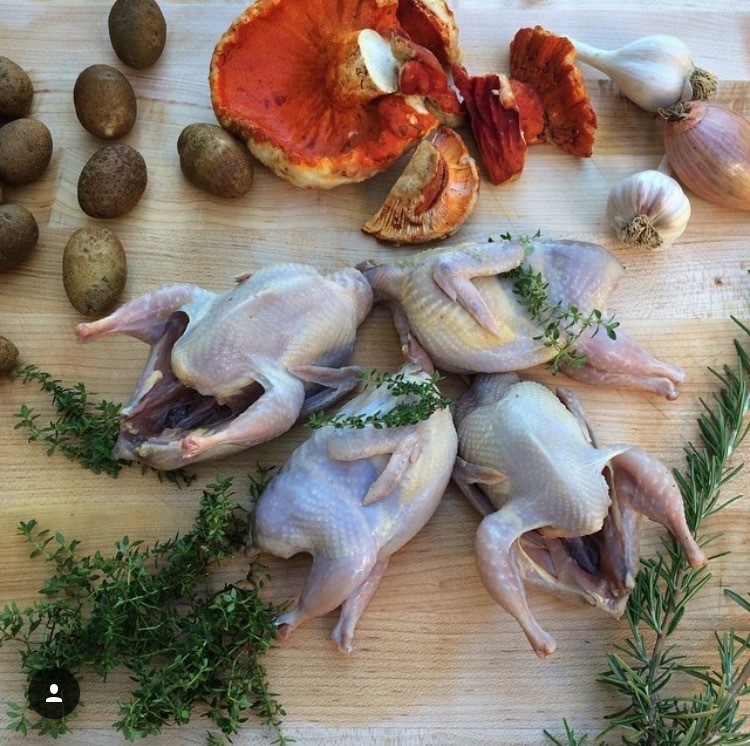 Each month members receive an offering of fresh poultry or game birds in addition to quail, duck, or chicken eggs. What’s available changes every month and can include: quail, guinea fowl, silkie chickens, heritage chicken, and chukar partridge. For November, all members receive a heritage breed Thanksgiving turkey (up t0 10 lbs). We even provide recipes on how to cook our unique products. Pick ups run June through November. In 2018 our CSA members received meat and eggs valued at $647.40 for just $450! Below is what they got last year. Offerings change season to season.